Coral Heights is a East Fort Lauderdale neighborhood actually in the City of Oakland Park Florida. Coral Heights is an extremely convenient neighborhood just West of US 1 in Fort Lauderdale – sitting between Oakland Park Boulevard and Commercial Boulevard. Most of the community was built between 1940 and 1969 and consists of smaller two or three bedroom homes. There are a few new constructions in the Coral Heights real estate market but there many more older beautifully renovated homes. The Western border of Coral Heights is the booming downtown area of Oakland Park where Dixie Highway hosts many new businesses and a new townhome community with prices close to $400,000. The new business life on its western border dramatically increases the walkability of the Coral Heights community, with many new bars, restaurants and coffee houses. Take a look at Yelp Oakland Park to support the businesses that anchor the City of Oakland Park. Not your typical Coral Heights home for sale and we assure you, “You’re going to love it”. With over 2400 sq. feet this sprawling Coral Heights ranch sites on the waterfront. A beautifully secluded tropical waterfront garden and pool area featuring designer landscaping, a heated pool, along with dramatic nighttime lighting. The wide open areas of the home including a front courtyard, dining room, and living room are topped off by a brand new chefs kitchen perfect for entertaining, with its top of the line appliances. 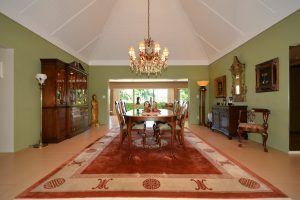 This property features gas from the street which takes care of the pool heater, stove and hot water heater. In South Florida gas service to many neighborhoods is not the norm. You can take your own tour of the home today with the incredible 3D Tour of 3951 NE 16th Terrace provided by the team at the Eric Miller Group of Keller Williams Fort Lauderdale or call today (954) 383-8170 to set up your private showing. Weston Hills is one of the finest single-family homes communities in Western Broward County located in Weston Florida. From the moment you reach the gate of Weston Hills you know you are in a fine community of single-family homes with management provided by the Castle Group. Weston Hills sits on two of Broward Counties finest championship golf courses, known as the Weston Hills Golf and Country Club. Membership in the country club is totally independent of home ownership but provides for a beautiful backdrop for this community. Large estate homes with well-manicured landscaping identify Weston Hills as one of the finest communities to live anywhere in Broward or Dade County. Weston Hills is easily accessible to I-75 and I-595, making it in great location for all that South Florida has of offer. The Eric Miller Group of Realtors, an award-winning team at Keller Williams Realty Professionals is proud to have been selected to market one of the finest homes for sale in Weston Hills. Ready to come to market shortly 1708 Victoria Pointe Circle, Weston Florida, this 5 Bedroom, 4 Bath homes with all new baths, and upgrades throughout will be coming to market just after the Thanksgiving holiday. With its extended covered patio, the beautiful water front pool makes this the home to see in Weston Hills. The upgraded kitchen includes new appliances including double ovens that have never been used. This home offered at $1,025,000 is ready for the new owner to move right in. Reach out to us today or call any local realtor and be one of the first to see this home we are ready to start showings. You can view the virtual tour of 1708 Victoria Pointe Circle today. finest Country Clubs in South Florida. Numerous communities comprise the Weston Hills Country Club Community area. Victoria Isle, Harbor View, Montclair, Oakbrook, Cypress, Courtside Homes, Lakewood, The Laurels, Legends, Eagle Watch, Edgewater, Mayfair, The Pointe, Princeton, Provence, Rivera, The Retreat, The Reserve, Poinciana, Jardin, Water Oak, Victoria Pointe, Victoria Isle, Royal Palm, Meadowood, Monterey, Hunter’s Pointe, Grand Oaks, and The Fairways. Incredible three story townhome, at 3901 Coral Heights Lane, Oakland Park, Florida 33334, in the Villas of Coral Heights. When it comes to Fort Lauderdale Townhomes, few stand out like the Villas of Coral Heights. These Fort Lauderdale Townhomes actually in the City of Oakland Park feature 10 foot ceilings, something unusual to find in Oakland Park Real Estate. 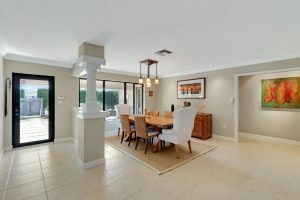 Oakland Park Realtor, Eric Miller and Associates at Keller Williams Realty Fort Lauderdale has been involved in the Oakland Park Real Estate market for years and was involved in the preconstruction days of the Villas of Coral Heights. 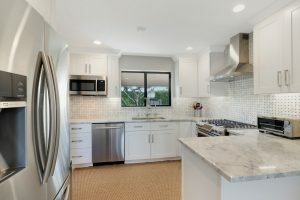 Oakland Park Realtors, Eric Miller and Associates is pleased to announce the listing of one of the original developer units that received a tremendous level of upgrades. Saturnia marble floors in the entry way and baths, wood floors throughout, gourmet kitchen with stainless steel appliances. Huge island kitchen, with tons of cabinetry. A huge master suite with two walk in closets. Impact windows throughout and this unit is equipped for central vac. 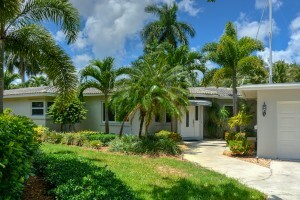 This unit features the largest yard in the entire Villas of Coral Heights Community. 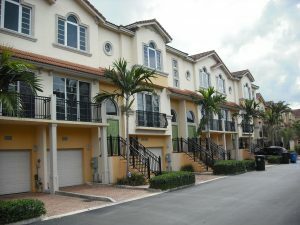 The Villas of Coral Heights was built in 2005 and consists of 68, three story townhomes. The property is all concrete construction with impact glass. The community features a beautiful community pool. 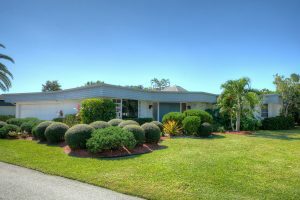 The Villas of Coral Heights represents a great value in today’s Oakland Park Real Estate market. When it comes to Fort Lauderdale Townhomes let the Oakland Park Realtors at Eric Miller and Associates show you why 3901 Coral Heights Lane Oakland Park, Florida 33334, in the Villas of Coral Heights offered at $439,000 is one of the best deals in Fort Lauderdale Real Estate. 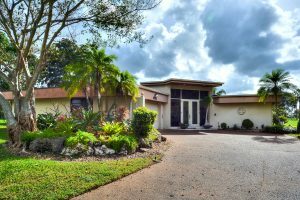 One of the best kept secrets in Fort Lauderdale Real Estate today is actually just a few miles West of Fort Lauderdale at the Woodlands Country Club of Tamarac. Fort Lauderdale realtor, Eric Miller often takes clients there when they start speaking about an architectural, space, and price that today’s Fort Lauderdale Real estate market does not offer. Looking for resort amenities, large homes and incredible pricing, take a drive through the Woodland Country Club off Commercial Boulevard just west of the turnpike. Now is a great time to do so as the area represents some on the best home values in Broward County. Just minutes from the Fort Lauderdale Real Estate market the Woodlands Country Club offers larger homes that often can be found for just over $100 a square foot. From the moment you enter the community you can see that the developers clearly had a Palm Springs influence. Conceived in 1968 by Fort Lauderdale real Estate developer, Ken Behring the goal was to build a golf community in the Fort Lauderdale area that reminde d people of Palm Springs California. The community was started with the purchase of 640 acres just west of what is today the Florida Turnpike. Demand was so strong for the first part of the community that the community grew to over 5000 acres. 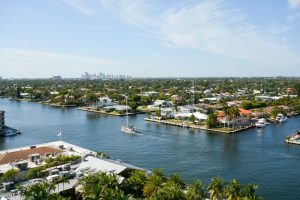 The planned community was to attract purchasers from all over the country who visited south Florida seeking to purchase their dream home in the Fort Lauderdale Real Estate market only to find an area a little bit more built out than they expected. Just west, off Commercial Boulevard in the City of Tamarac, the Woodlands Country Club offered exactly the South Florida Golf lifestyle they were looking for. Winding waterways, wooded areas, fairways and numerous amenities in addition to the country club itself made the Woodlands an immediate success. The Woodlands Country Club today is open for residents to enjoy the bar and restaurant with no membership required and offers all different types of memberships to support the diverse community of the Woodland today. With over 800 homes Tamarac’s Woodlands features everything from elegant estate homes on huge oversized lots, to homes ranging from 1500 to over 4000 square feet on smaller lots. The lack of fencing, and winding roads always makes you enjoy the feeling of open space from any home in the Woodlands community. In addition to the two 18-hole championship golf courses and a clubhouse, most sections of the Woodlands feature their own amenities including clubhouses and swimming pools. Today as you drive through the beautiful streets of the Woodlands Country Club of Tamarac it is easy to see that many home are being recognized for their contemporary architecture and being embraced for renovations that will bring them back to their original grandeur. Many homes offered for sale have been part-time residents or beautifully cared for by their owners and are ready to move right in and personalize over time. Many home buyers are immediately amazed by the huge floor plans and soaring ceilings available in some of the well know Woodlands Country Club models. Some homes feature amazing views of the golf courses, others feature oversized garages, and atriums along with walls of glass that allow you to bring the incredible South Florida lifestyle into your home. Today at just over $100 a square foot the Woodland Country Club represents one of the best housing deals in Broward County and visually the Woodlands looks like a community of much more expensive homes. Ready to take a look at the Woodlands reach out to the real estate team at Eric Miller and Associates, Keller Williams Realty professionals to set up your private tour of the best homes available today in the Woodlands Country Club of Tamarac. It is rare to find a South Florida Waterfront home within walking distance to the beach where you also have a protected harbor to keep your boat. That is just what the team at Eric Miller and Associates is presenting in the incredible South Florida waterfront home at 135 SE 19th Ave in Deerfield Beach. Located in a neighborhood called Poinsettia Gardens which for those familiar with Deerfield Beach is just east of the Cove, over the Hillsboro Boulevard bridge, on the east side of the intraocastal. Room for more than one ..
Just a few short blocks to Deerfield Beach the location of this homes make it the perfect spot for buyers looking for a South Florida beach getaway. The home has received renovations to many of the most expensive areas of a home to renovate including the sea wall and pool area. Both the roof and the a/c system have been redone . With three bedrooms, two bath, and great living space the home is ready for someone to add some personal touched to the kitchen and master bath. This South Florida Waterfront property features 70 feet of waterfront just one turn from the intraocastal and minutes to the Hillsboro inlet. 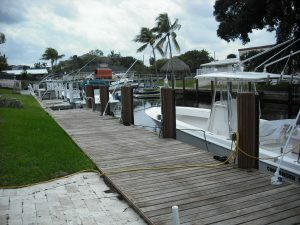 Waterfront in South Florida is always a great investment and this home I no exception. 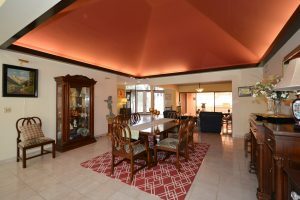 This home would be an ideal vacation rental property and currently being one of the least expensive no fixed bridge waterfront homes in South Florida makes it one your South Florida realtor will be happy to show you. Call your realtor today or reach out to Eric Miller and Associates – Keller Williams Realty today ! maybe just what you have been waiting for. Its time to let Eric Miller and Associates show you this amazing Tides at Bridgeside Square Condominium. The Tides at Bridgeside Square, Unit 1108 boasts one of the best Fort Lauderdale Condominium views around at any price. The views of Fort Lauderdale’s amazing Intracoastal and downtown Ft. Lauderdale are unobstructed and at $525,000 it makes Unit 1108 of the Tides at Bridgeside. Two balconies, numerous updates throughout, including glass counter tops and much more round out the incredible condo. Call Today to see it, at 3020 NE 32nd St., Fort Lauderdale FL 33308, Unit 1108. The Tides at Bridgeside Square offers beautiful redone common areas and amenities. A great healthclub, pool and tennis court all come with this Ft. Lauderdale Condo. This Tides Condo includes a 3rd bedroom or den, large closets, crown moldings, stainless steel appliances, and more. Eric Miller and Associates is proud to offer this Intracoastal view condo, just across from three Ft. Lauderdale Waterfront restaurants. Don’t miss this opportunity to call the Tides at Bridgeside Square, home ! Non-stop Intracoastal views, and immaculate. The Tides at Bridgeside Square offers a Secured Lobby and Elevator, and wonderful amenities, including a heated pool, spa, large exercise room, tennis court, bbq area, and more. You will never want to leave home! 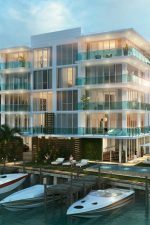 Call Eric Miller and Associates, your Tides at Bridgeside Square Ft. Lauderdale Realtor today, to make an appointment to see it, before it is gone! The Tides at Bridgeside Square is also a Pet Friendly building! Steps to restaurants and nightlife, Minutes from downtown Ft. Lauderdale, and shopping and more on Las Olas Blvd. 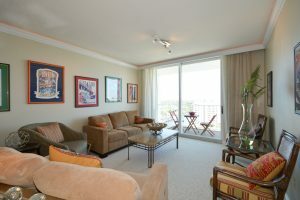 Assigned Garage parking, and did we mention the 2 balconies, with views of downtown Ft. Lauderdale and the Intracoastal? Call Eric Miller and Associates today, your Ft. Lauderdale Realtor. The article explains why homes are coming off the market faster at a national level than a year ago. In fact, 66.6 percent of homes were still on the market after the 30 days between March 6th and April 6th of this year compared to 67.8 percent for the same timeframe in 2015. Conversely, for coastal markets that started to rebound in late 2012 into 2013, their inventories are increasing. Florida coastal towns account for five of the 10 markets that slowed the most between 2015 and 2016, with slightly better inventory than last year. Note: Among the 100 largest U.S. metros. The one month shares and the difference are rounded to the nearest percentage point, and the difference was calculated before rounding; therefore, the rounded difference might not equal the difference between the rounded shares. Fort Lauderdale remains the tightest of the Florida coastal markets. Fortunately, there is a silver lining. There isn’t as much competition from cash investors since median home values continue to rise. Luckily, Fort Lauderdale’s median home values are not rising as quickly as the other Florida coastal cities, and remain at an affordable $210,000 median sales price as of April 2016. 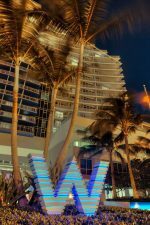 Another contributor to this market slowdown could point to condominium developers, who are investing in Fort Lauderdale and increasing inventories. According to Trulia, the inventory of all home types in Fort Lauderdale increased 2.5 percent between 2015 and 2016 with 69.6 percent still on the market after 30 days compared to 67.1 percent in 2015. If you are considering buying in Fort Lauderdale, there is no time like the present. Inventories are increasing, the median home value is still affordable, and interest rates are still relatively low. 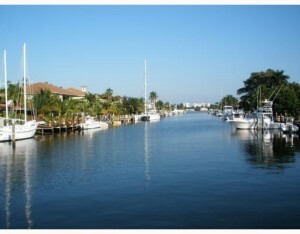 So contact Eric Miller at FortLauderdaleGroup.com to start your search today.